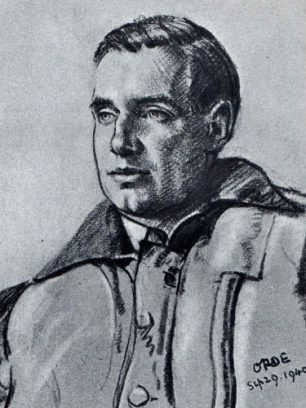 Group Captain Myles Duke-Woolley DSO, DFC & Bar (1916-1991) was a young flight lieutenant on No. 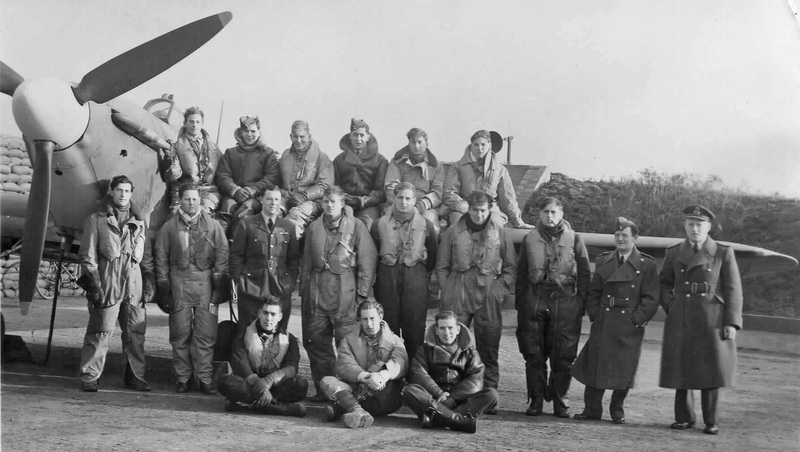 253 Sqn at Kenley during the latter part of the Battle of Britain. After the War, in December 1950 and by then a wing commander, he recalled in a letter what a typical working day on RAF Kenley was like in early October 1940. Here’s an edited version of his letter. 253 Squadron had, on average, 17 pilots on strength and we always tried to have 13 on the Station. The batman used to call me at 0445 – and had strict standing instructions to call me again at 0450 and remove the bedclothes. A quick wash and breakfast followed: I never can eat so early in the morning, but found from experience that this was the only meal before dinner one could count on getting. So one ate heartily – to outside observers – albeit unenthusiastically. We aimed to be at dispersal by about 0530 varying of course with the time of first light. Dry shavers were much in evidence at this time! (either electric or hand-operated), and there was a busy whining noise as we spruced up. The first sirens would go about 0600, usually for a [German] recce aircraft and sometimes a section would be sent off. By 0630 we usually got our first scramble – either a squadron, solo, or make a wing with 501 or 605. With 605, based at Croydon, we always used the same tactics, and gained height on a westerly heading, turning back over Guildford, roughly at about 12,000 feet and thus getting our height off to the flank of any incoming raid. We would be down again by about 0800, and the armourers would be on the wings before one stopped taxying. With belts of .303 [rounds of ammunition] festooned around their necks, they used to go at it with a magnificent will. My own crew never failed to re-arm and re-fuel within six or seven minutes at the outside, and the whole Squadron was turned around in about 15 minutes. We would try and get Flights off for a proper breakfast in rotation, but often we were asked to stay at readiness for another scramble. Of course, in the event, we sat around for probably 2 to 2½ hours, and could easily have been released. But looking back on the critical stage the battle had reached I feel we cannot justifiably criticise the Ops Staff. The tea wagons did a lively trade, and we lined ourselves with dough and chocolate instead. Our second scramble would usually be at about 1130, and the same drill would follow as before. Apart from the fact that the actual targets changed, each sortie was much like the last. I did not see very much really of the big daylight raids by bombers because they finished in September and the fighter-bombers replaced them. But I do remember on 15 September 1940, going head-on at one bunch of bombers and seeing – spaced out behind them at about 15 miles apart – three other blobs coming up on the same track. I will say the old Hun certainly tried hard but they did not like that head-on business. One could see the leader carrying on straight, but the followers wavering, drawing out sideways to the flanks, and in some cases just plain leaving the formation. After the second landing, we usually repaired for lunch. But I never remember finishing it. Invariably, I recall heaping my plate with all the nicest bits of meat and the best roasted potatoes on view, settling myself down – mustard, salt, first slice, load the fork, and …. off went the Tannoy – “253 Squadron to readiness.” I learned the trick of always taking the pie, if offered, and mashed potatoes, and making back to dispersal with my plate and fork, eating as I walked or drove in the car. Usually three scrambles was the day’s portion, and down by 1500 hours we could relax. Occasionally we did go off again but normally by 1900 we had not been needed and were released. I have known five scrambles in the day, as there was usually a late [German] recce aircraft sent over which often came over Kenley, and we made it a point of honour that two pilots would always wait, just in case, even if we were released. Aircraft inspections and servicing went on until about 2130 or thereabouts, by which time the night bombers were droning overhead. On moonlight nights, we occasionally did voluntary sorties to try ‘cat’s-eye’, but I personally only got extremely cold and occasionally badly frightened by London’s ack-ack firing, probably at someone else! By 2200, my flight sergeant could, and did, come hurrying round to the Mess with the aircrafts’ serviceability state for the next morning, and with the other flight commanders we worked out the early morning readiness roster, depending on the serviceability state of each Flight. We then fixed who should be called early, had one for the road, about by 2300 would be tucked between the sheets. I have to admit that on noisy nights I slept UNDER the bed. Incidentally, the most frightening feature of the night blitz was not the few stray bombs that whistled down on Kenley from above: not by a long chalk. No, the terrifying weapon was the railway-mounted 3.7” AA gun which used to station itself just across the valley to the East of Kenley. Many’s the time I have gently levitated into the air with pounding heart as that horror opened-up with ear-splitting cracks from across the way, throwing dirty great bricks into the air which sounded like trains going backwards through tunnels. Waken from a half-sleep, one could not for a moment decide if it was something hissing up or coming down. In fact, I rather think that continual indetermination on this vitally interesting point was my main reason for sleeping under that bed! The Squadron dispersal point was a caravan. Into this we crowded all readiness pilots, the ops clerk who logged the scramble calls and times, and two paraffin stoves. The Squadron offices were in a wooden hut within 100 yards of the officers’ mess. Tactical conferences were held at night in a pub in Whyteleafe, whose name I cannot remember: however, you went down the winding hill from the camp, turned right at the T-junction and the hotel was about 150 yards along on the left-hand side. A private room was given us by the management who were intensely pro RAF. One other feature of those days sticks in the mind and that was the supply of new aircraft. I do not know the chain of command but the effect within the Flight or Squadron was extraordinary. If we had an aircraft shot up, say, at 1500 hours we made no effort to repair it. We asked for a replacement and the unserviceable machine was simultaneously notified as being fit or unfit to be flown away. The replacement would arrive by nightfall, usually about 1930, and the guns harmonised and compass swung that night. Although the aircraft would not be on dawn readiness operationally, it would be ready for air test (with squadron lettering) by 0900. 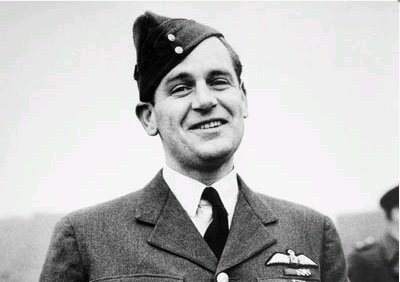 An odd fact, I recall, is that in 253 the letter ‘A’ was extraordinarily unlucky and seven aircraft running (in ten days) were replaced; until the flight sergeant begged me to ban it. We did, and had no further replacements for nearly three months! Excerpts from a post-war letter dated 16 December 1950 sent by Wing Commander Myles Duke-Woolley to Air Vice Marshal McEvoy, National Archive PRO AIR 16/1136.